Government (post yesterday) and industrial forestry interests are hardly waiting for the Report from the Independent Review before going ahead with strategic decisions, it seems. I had noted on Dec 3, 2016 that Eddy’s move from NSDNR to Agriculture and Fisheries and Aquaculture was part of a A welcome change in NSDNR bureaucracy but then on May 11, 2018 noted that “Allan Eddy retains interests in biomass“. Before Eddy’s NS government days – in DNR (as Associate Deputy Director Deputy) and then Agriculture and Fisheries and Aquaculture (as Associate Deputy Minister) and then in his final position at the Finance and Treasury Board (as Executive Director of Strategic Initiatives) before going back to industry, perhaps with a stint another department in there somewhere – he was the Senior Forester with Nova Scotia Power. – Alan Eddy, Associate Deputy Minister of NSDNR and former senior forester with Nova Scotia Power after acknowledging that land was being cleared to feed the biomass boiler at Pt. Tupper, cited in the CH Jan 9, 2015. 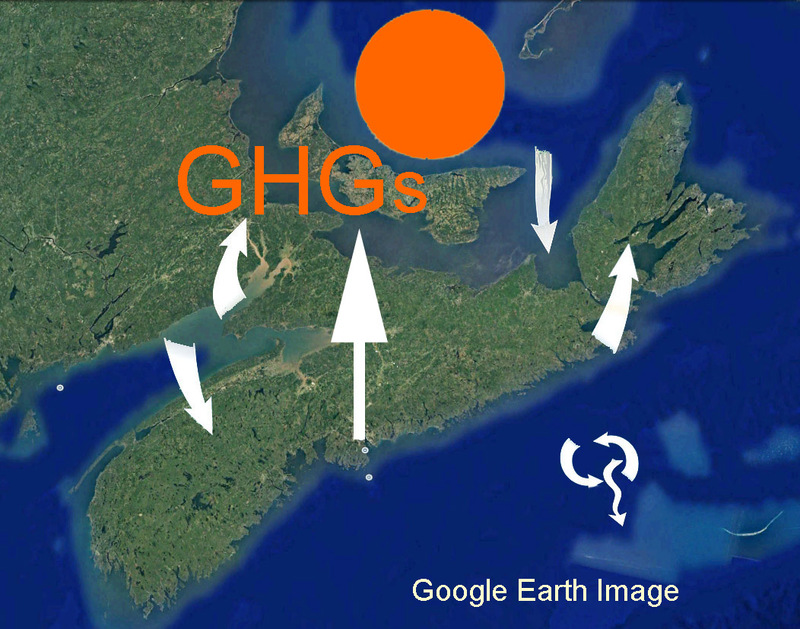 The Chronicle Herald story cited there – Nova Scotia Power biomass project in Cape Breton raising green concerns – (also by Aaron Beswick) is worth re-reading for some other insights to Mr. Eddy’s perspectives. Beswick had concluded “A rough industry average in northern Nova Scotia is that you get about 120 tonnes of wood fibre off a hectare. Divide 335,000 tonnes by 120 and you get 2,792 hectares getting cut every year for the foreseeable future to be burned for electricity in a furnace that works at about 74per cent efficiency”. The article describes how the PHP/NSP biomass operation was laying waste to the land to feed the biomass boiler and making it difficult for smaller sawmills to access quality hardwoods, a topic Aaron Beswick further pursues in the Aug 14, 2018 article. Beswick also lays out some of the clear conflicts of interest when top level people move between government and industry. “Politically he’d [Allan Eddy] be well connected,” said Peter Christiano, who says being locked out of access caused Finewood’s 2014 closure. Northern Pulp’s ties with the province’s ruling class are also tight. The chair of its board of directors is former premier John Hamm. During his term (1999-2006) the province signed a renewal of the lease with the kraft pulp mill for the Boat Harbor waste treatment facility behind the Pictou Landing First Nation. That lease puts the province on the hook for continuing to provide a destination for the mill’s effluent until 2030 or compensating its owners financially if it forces the closure of Boat Harbour. Meanwhile the mill’s former lawyer on issues of environmental compliance, Bernie Miller, now serves as the province’s deputy minister of both strategy management and business. Oh shoot. I thought McNeil was going to clean a lot of this stuff up. I guess he stopped direct handouts but the indirect support of Industrial Forestry sure continues. From my perspective, PHP’s hiring of Allan Eddy is a clear signal they (PHP), and perhaps or probably other industrial forestry interests in NS, want to go on playing the same old game and are guessing that the Independent Review will do little to change the game. I guess you can’t blame PHP. They have pretty sweet deals, between their FULA agreement, biomass agreements, payments for silviculture work (to “improve our forests” [for future harvests]), grants and contributions from NSDNR totalling $4,083,275.15 in 2018 (re: Public Accounts) and while they promote their FSC Certification, when push comes to shove as it did this spring with respect to cutting of Old Growth, they blame it all on NSDNR, FSC Certification apparently irrelevant to their practices. 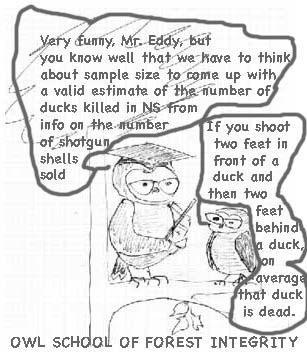 Eddy’s duck math will fit well into that scenario. This entry was posted in Biomass, Forest Certification, NSDNR, Pulp & Paper. Bookmark the permalink.